TaeKwonDo is Korean martial art that combines combat and self-defense techniques with sport and fitness training for your mind and body. Training is designed to teach all basics of traditional and modern Taekwondo, such as blocks, strikes, stances, movement and patterns, kicks and self-defense techniques, while preparing one’s self for becoming Internationally certified Black Belt in Taekwondo from Kukkiwon. Classes welcome all students ages 6+ years old with lessons being offered 3x/per week for Beginner students and 4x/per week for Advanced students. Please see our schedule for more details on days & hours offered currently, as our schedule may change from time to time to fit the class needs. Restrictions apply, free trial offered with appointment only and based on availability. 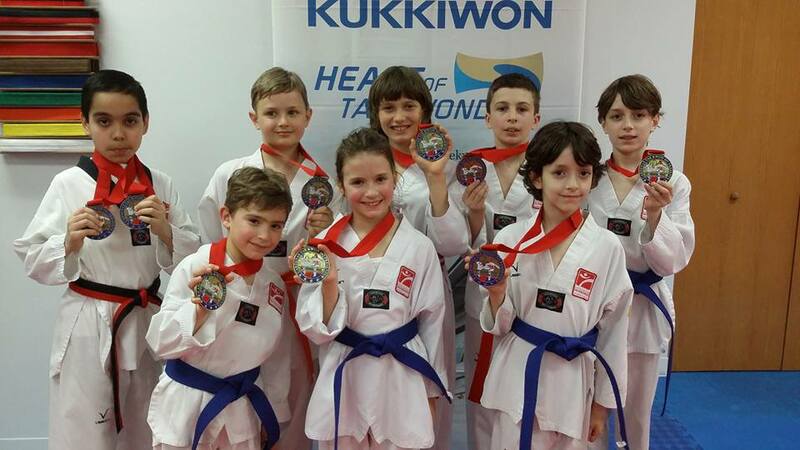 Team Revolution was established with the main goal to produce top quality athletes in Olympic Sport Taekwondo. Since 2008 we have been able to develop some of the best athletes in the USA, including Cadet World Champion in 2017, Multiple USA Junior & Cadet National Team Members, Mexico Cadet National Team Members, along with over 30+ USA National Champions and medalists from International G-1 ranked events, like US Open, Canada Open, Serbia Open, Austria Open, World TKD Open, etc. Enrollment to this program is by invitation only. For more info please speak with our Head Coach Krasimir Rusev.